The U.S. Patent and Trademark Office is working on developing a rule that would require foreign trademark applicants and registrants to be represented by a U.S. licensed attorney when filing trademark documents with the USPTO. The rule will enter a public comment period in November, when the Office plans to issue a notice of proposed rulemaking on the new requirement. The public comment period will end in February leading up to a final action next June which will become effective in July 2019. A description of the rule being considered by the USPTO notes that, to be qualified to file trademark documents for foreign applicants, an attorney must be in good standing of the bar of the highest court of a U.S. state, including the District of Columbia or any U.S. commonwealth or territory. 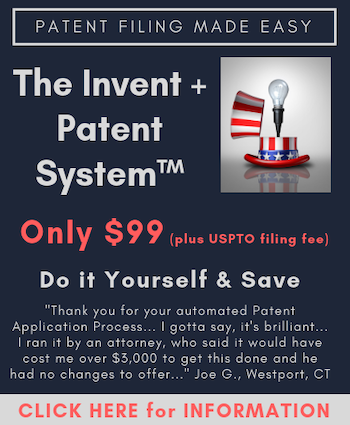 The USPTO believes that this requirement for using a U.S. licensed attorney will ensure that the agency “can effectively use available mechanisms to enforce foreign applicant compliance with statutory and regulatory requirements in trademark matters; provide greater confidence to foreign applicants and the public that registrations that issue to foreign applicants are not subject to invalidation for reasons such as improper signatures and use claims; and aid USPTO efforts to improve accuracy of the U.S. Trademark Register.” The rule appears to be directed to the relatively recent uptick in pro se applications filed by Chinese citizens. Pro se applicants run a higher risk of having their US trademark applications rejected, as captured by a 2013 Stanford University study. Approximately thirty percent of US trademark applicants file pro se, but only a fraction of those filers are foreign entities said Todd Sullivan, managing partner for the New Hampshire office of the intellectual property law firm Hayes Soloway. Christon and Sullivan agreed that this measure will achieve the desired result, although not for any obvious reason. “USPTO trademark examiners are US attorneys and are as capable of identifying fraud as any US attorney in private practice,” Sullivan observed. “Private practice attorneys will not eliminate fraud more effectively. Requiring foreign entities to hire US counsel will raise the expense of obtaining trademark registrations, which will undermine the Chinese subsidies and spoil the motivation of the insincere pro se Chinese applicants.” Sullivan added that he had recently been in contact with a colleague from China who noted that these subsidies, which are offered by city governments and vary from city to city, have been reduced in recent months and are currently much closer to the cost of filing a trademark application at the USPTO. “Honestly, the issue with Chinese application filings may correct itself before this rule even gets passed,” Sullivan said. I wonder if another motivation for this proposed rule is to save time and money in the TM branch of the PTO, by getting less formally defective or clearly improper TM registration applications? restraints, and sanctions in TTAB and other proceedings, foreign registration submitters are effectively not.